Clif Bar & CompanyThe husband and wife owners of Clif Bar, Gary Erickson and Kit Crawford. Husband-and-wife team Gary Erickson and Kit Crawford told Business Insider that when they look back at their company, Clif Bar, on this year’s 25th anniversary, they realise some basic advice in the early days could have saved them about $US70 million. The owners of the Emeryville, California-based company said it’s celebrating its silver anniversary stronger than it ever has been before. 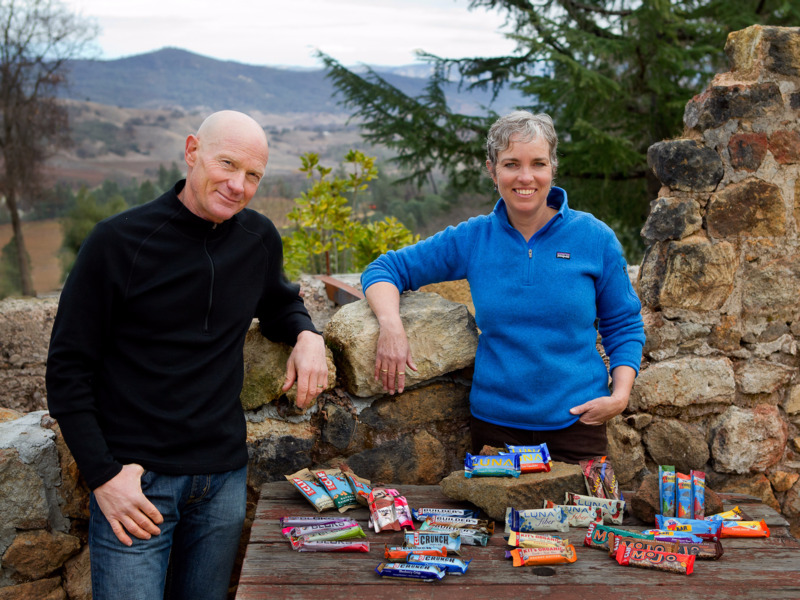 Though Erickson and Crawford declined to share revenue, their CEO Kevin Cleary told the San Francisco Business Times last year that the company has a third of the health bar market — estimated to grow to $US6.2 billion next year — and the owners confirmed that Clif Bar has had an 18% compounded growth rate over the past 10 years, has been profitable since year three, and now has a total of about 1,100 employees across the country. But there was a point 17 years ago when Erickson was told by multiple advisers that he should sell the company to get himself out of a rut — hence that $US70 million mistake. Looking back at that time and the years since, Erickson has taken away one primary lesson: Don’t compromise your vision. Erickson created his first energy bar in 1990 and then cofounded the Clif Bar company two years later with his friend Lisa Thomas. He decided to split the company with Thomas 50-50, therefore giving neither of them a majority stake. When they did start making money a few years after founding the company, investors and companies looking to acquire them came courting. Erickson said that even though he studied business in college, he was thrown off the first time he was asked what his exit strategy was. He went into Clif Bar thinking he’d be running it for the long-haul, and not as a subsidiary to a giant company like Mars, which offered him $US120 million in 2000, when Clif Bar was bringing in $US40 million in sales at a profit. 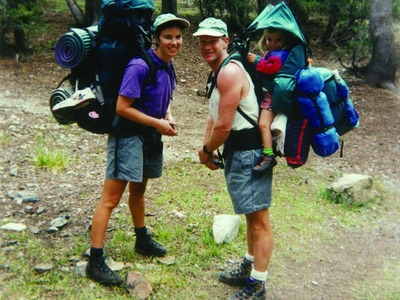 Clif Bar & CompanyClif Bar owners Kit Crawford and Gary Erickson hiking with their daughter during the company’s early days. Erickson remembers being offered the deal and feeling a sense of unease at the same time that Thomas found it exciting. Though Thomas has not wanted to go on the record to talk about the disagreement, Erickson said that he eventually agreed to go through with the deal — an acquiescence he remembers as his trying “to be a nice guy” and do what seemingly everyone but his wife Crawford expected of him — only to later back out. It resulted in Thomas declaring she wanted to sell her shares in the company, and at a price of $US60 million, half the market value of Clif Bar. It took him 10 years to finish paying that debt, and with interest it came out to about $US72 million, according to Erickson. He told Business Insider that when he talks to new entrepreneurs, he warns them against being desperate or uncertain about their ideals, and against wanting to please everybody. After Thomas left the company, Crawford joined Erickson as co-CEO for a six-year stint before joining him in being co-chief visionary officer. Before that, she was involved in the company in an informal way. She said she would tell young entrepreneurs to recognise what you don’t know as early as possible and find ways of dealing with that, rather than having to learn everything through trial and error. She said, for example, she would have been more proactive about taking business classes when she ran into this gap in her knowledge, for the sake of the company, and both she and Erickson agree they should have taken on legal counsel from the nascent days of the company, in order to avoid the messy breakup between the two cofounders.